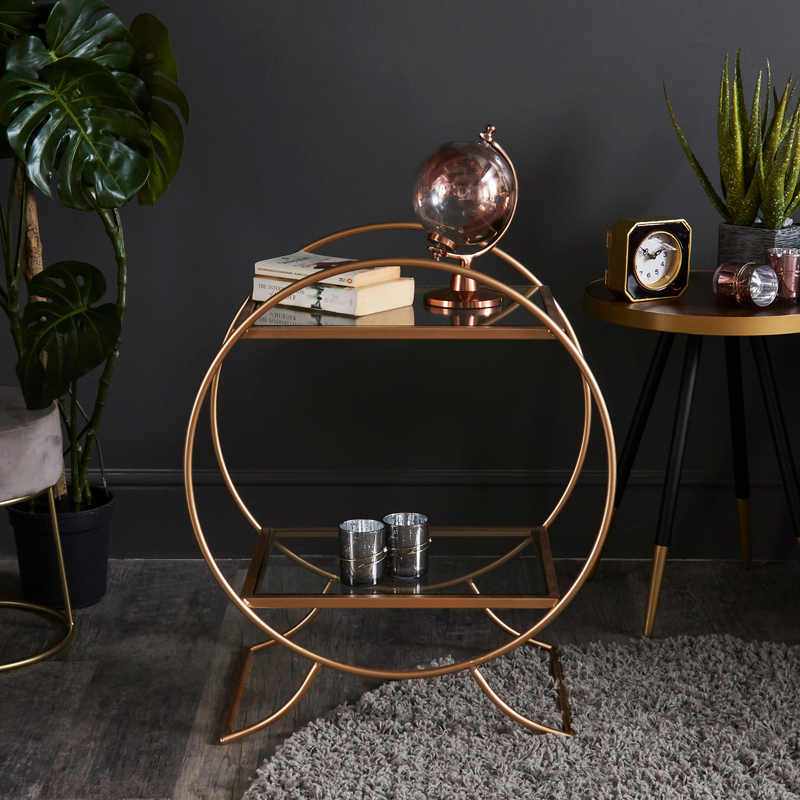 Add some elegance and sophistication to your living room with this stunning shelving unit. Gold frame with 2 glass shelves for displaying ornaments and photos. Perfect for a modern, contemporary decor. This shelving unit will add a look of luxury to your home. Perfect for displaying all your favourite treasures. This unit gives hints of the art deco style and will add a great look for your home. 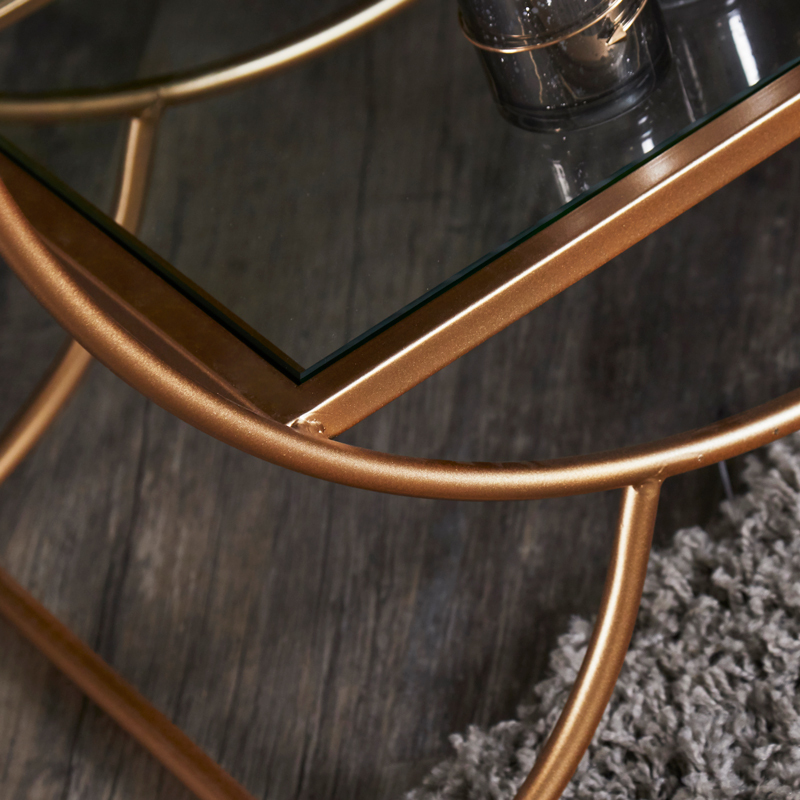 This could easily be used as a side table to add a touch of glamour. This is the perfect way to display your trinkets and will make a great addition to any decor. 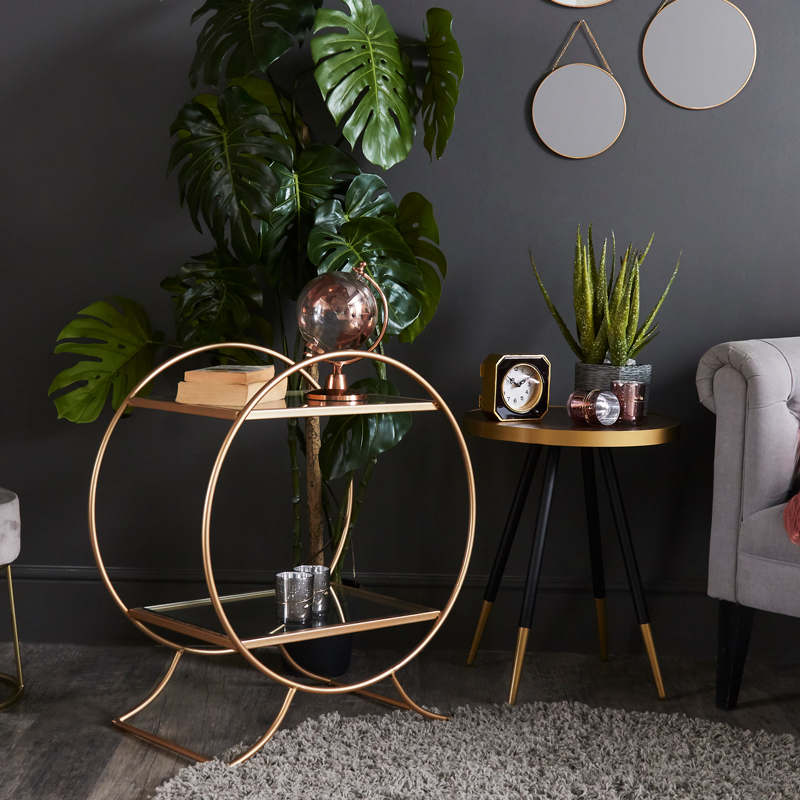 Add some elegance and sophistication to your living room with this stunning shelving unit. Gold frame with 2 glass shelves for displaying ornaments and photos. Perfect for a modern, contemporary decor. This shelving unit will add a look of luxury to your home. Perfect for displaying all your favourite treasures. This unit gives hints of the art deco style and will add a great look for your home. 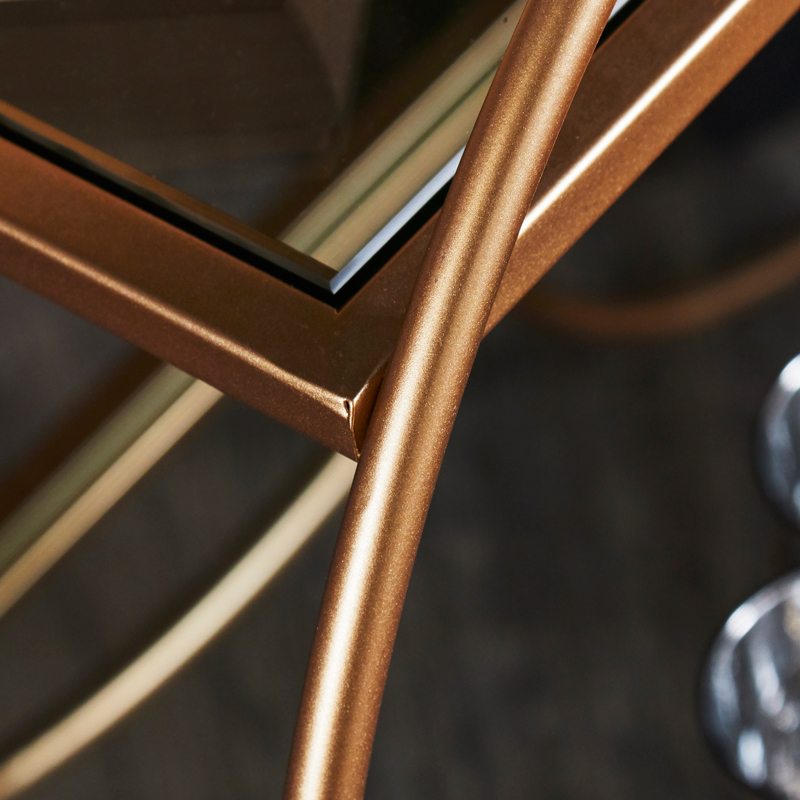 This could easily be used as a side table to add a touch of glamour. This is the perfect way to display your trinkets and will make a great addition to any decor. Constructed with tubular frame, painted gold with a powdercoated finish. The shelves are made from a tempered glass. We have a superior selection of shelving units, perfect for display and storage in a great choice of styles, designs and colours.